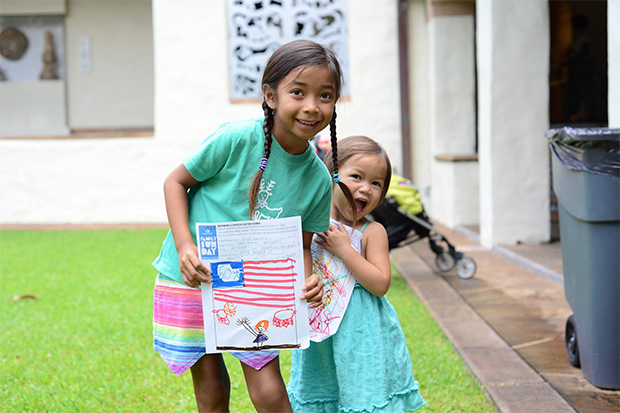 The Honolulu Museum of Art relies on your generosity to provide its world-class exhibitions and programs for art lovers of all ages. So as you contemplate your charitable giving during this holiday time, please keep in mind the museum and its wide-ranging impact on our community. The easiest way to give is online to our Annual Fund or call Donor Services at 808-532-8724. Your gift is fully tax deductible. Make a donation of $20 or more on #GivingTuesday, Nov. 27, 2018, and receive a free HoMA tote bag, while supplies last. We need your support so the museum can continue its important work in our community presenting poignant and engaging exhibitions and installations—including culturally relevant presentations like Ho‘oulu Hawai‘i: The King Kalākaua Era. Your contributions also help us welcome 20,000 students to the museum every year through our free school tour program. We couldn’t do any of this without your help! We hope you choose to support HoMA this holiday season.